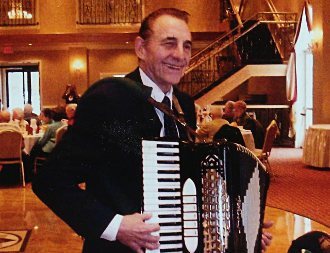 The Frank "K" Duo will entertain your guests with a multitude of customized performances. Our Duo will entertain with Fran on drums and vocals and Frank on synthesizer and accordion. For larger functions, Frank "K" and Company can be expanded to as many as six musicians. Frank "K" has the experience, professionalism, and versatility to provide the kind of entertainment your guests will appreciate and take pleasure in. Our performances can include continuous music as a DJ which is an added benefit to the customer at no extra charge. Fran, our talented vocalist, will also sing along with some of the musical selections resulting in a unique accomplishment. This combination provides both live and DJ music to benefit each customer. Strolling can also be provided creating an elegant atmosphere for any social event. We have a large repertoire for taking requests at each table. This personal touch makes the experience memorable. We specialize in Oktoberfest Parties complete with authentic German Music and Lederhosen. Frank "K" if one of the best in the Chicago land area continually adding satisfied customers every year. See a listing of Frank "K"'s past performances.